Don’t you notice how we move from one thing to the next as if it were a swipe of the iPad? In an instant, we “move on”. Our minds are distracted, our worlds are constantly moving, and as a result, change often keeps us from completing what we started. Oh I’m a complete train wreck sometimes when I go out online. One link leads to another page that leads to an email that leads to a text. Just as I’m trying to finish up, a phone call comes through. When I run, no matter how hard the terrain, how bad the weather, how far I have to go, the finish is what I embrace most. It simply feels fabulous, finishing. The challenge is today’s world gives us a lot of choice and opportunity. With that comes a lot of noise to take a different course. What are you doing today to finish what you started? So how do we finish strong? Focus. The key to a good finish in the marathon or really in any thing is focus. Focus comes with good discipline and preparation. Running is a unique sport in that its just me my body and the road. When I run, I often go alone. It gives me the ability to practice focus. If I tune in right and listen to myself and my body, I regulate my movement and know when to speed up and slow down while maintaining my eye on the end game. Do you have a way you practice focus? What are you doing today to help drive greater focus in your work and life? Finishing isn’t easy. Failure happens. Every race, job, and relationship has taught me something along the route. And failure happens. Sometimes its the small holes in the pavement that we don’t see. We’re blind because our egos get in the way. Or sometimes we get sucked into the big ones. But we dig our way out. And when they reappear we go around them or through them. Sometimes, we create new routes or races to avoid them. In the end, we learn through the pain of failure. We never understand the “why this, why me” then, but when we look back at the race, we have a full appreciation for the journey we’ve taken to get to the finish. My friend if you don’t fail enough, you ought to start. 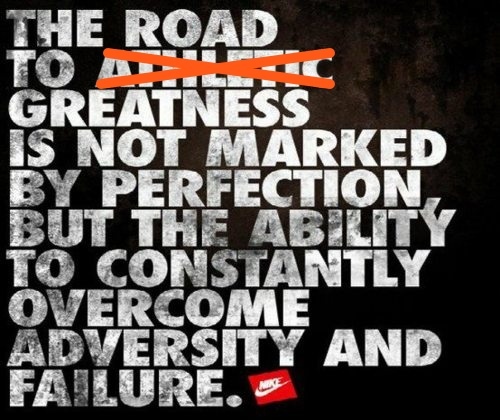 What are you doing to fail and to learn from your failures? Never ever waste a good setback. The beauty is in the feedback. Every response is a form of feedback. 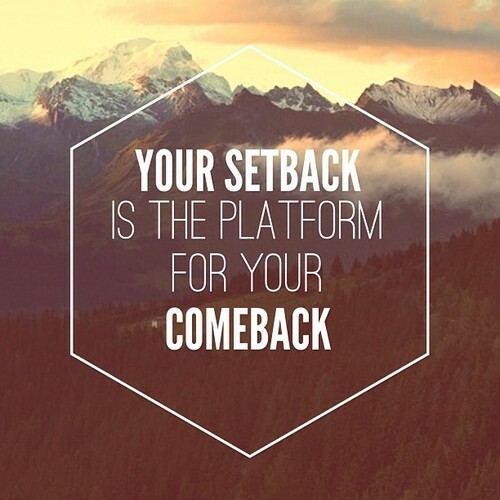 And setbacks are your platform for comebacks. Your job is to look for the trends, acknowledge the reality of perception and figure a way to get better. This can happen in the moment or over time. Setbacks are the best forms of feedback. I hit my first “wall” in the New York Marathon in 2011 just 9 months after having my child. What got me there? Sheer exhaustion, a lack of focus, and a fear I wouldn’t finish. In a moment of despair I texted my husband. He told me I didn’t come this far to stop and encouraged me to keep going. No matter what, just put each foot in front of the other and I would eventually begin running again. In that moment, I was already off course, terribly behind my goal and ready to give in. I stopped, pulled up my big girl pants and restarted. I walked and at times I crawled, but I grew stronger because of that setback. How are you embracing feedback in the moment? Create a clear path, my friend. Focus. Drown out the noise. Along the way, allow yourself to fail. It’s okay. It’s normal. 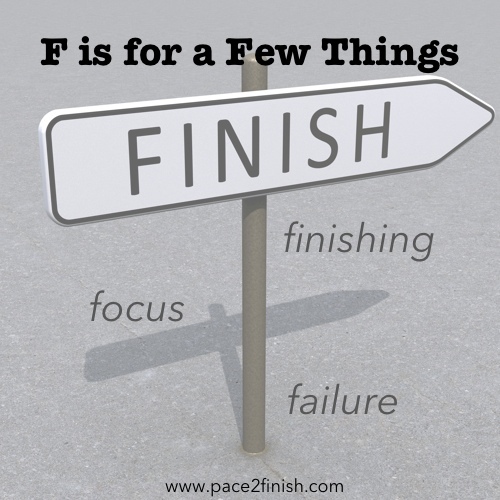 Take every piece of feedback in stride knowing that the next step you take is getting you closer to your finish. Happy Friday. Thanks for honoring me one more day with your ears, mind and feedback. I read and related 100%. Your words were much needed today and are appreciated. There are plenty of “F”‘s in my day and I have cherished each one.